Sgt. 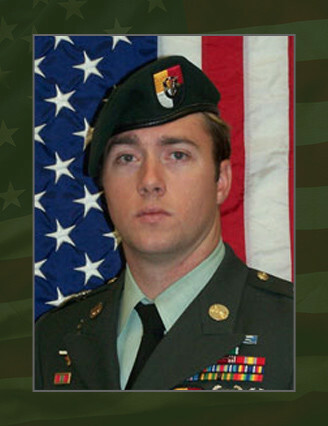 1 st Class Justin S. Monschke, 28, was killed in action on Oct. 14, while conducting combat operations in the South Baghdad Region of Arab Jabour while serving with ODA 354 of Company B, 2 nd Battalion, 3 rd Special Forces Group (Airborne). He deployed in support of Operation Iraqi Freedom in July 2007 as a member of the Combined Joint Special Operations Task Force – Arabian Peninsula. This was his second deployment in support of the Global War on Terrorism and his first deployment to Iraq. Monschke’s military education includes the Advance Noncommissioned Officer Course; Special Forces Advance Recon Target Analysis and Exploitation Techniques Course; the Survival, Evasion, Resistance and Escape Course; Basic Airborne Course; Jumpmaster Course; Emergency Medical Technician – Ambulance Course; Air Assault Course; Ranger Course; Warrior Leaders Course; Basic Noncommissioned Officer Course; Combat Lifesavers Course; Long Range Surveillance Leaders Course and the Special Forces Qualification Course. His awards and decorations include two Army Commendation Medals, three Army Achievement Medals, three Army Good Conduct Medals, National Defense Service Medal, Armed Forces Expeditionary Medal, Afghanistan Campaign Medal, Iraqi Campaign Medal, Global War on Terrorism Service Medal, three Noncommissioned Officer Professional Development Ribbons, Army Service Ribbon, Combat Infantryman Badge, Expert Infantryman Badge, Parachutist Badge, Military Freefall Badge, Air Assault Badge, Ranger Tab, and the Special Forces Tab. Monschke is survived by his wife, Melissa; daughter, Ashley; son, Ryan; and stepson, Dylan, of Lillington, N.C.; father, Larry Monschke, of Ft. Worth, Texas; and mother, Patty Jett, of Denton, Texas.